FISHING -- Managers of Dworshak and Clearwater hatcheries at Ahsahka hope they are choosing the better of two poor choices by releasing spring chinook smolts today to take advantage of reduced flows from Dworshak Dam and lower levels of harmful dissolved gas. But officials at Dworshak Hatchery say many of the juvenile steelhead there are not yet mature and will either have to face damaging gas levels or be released early. The U.S. Army Corps of Engineers had been releasing water from the dam at a rate of 22,500 cubic feet per second earlier this week so the reservoir will have room to capture runoff later in the spring and prevent flooding at places like Portland, Ore. Because of a turbine that is offline at the dam, much of the water is being spilled. The plunging water creates high levels of dissolved nitrogen that can harm or even kill juvenile fish. But corps officials scaled back releases to 12,300 cfs Thursday and Friday to reduce the risk of local flooding at places like Ahsahka and Spalding. Steve Hall, water manager for the Corps' Walla Walla district, said flows will drop further, to about 7,500 cfs, late tonight and early Sunday morning because of forecasts of high flows coming down the main Clearwater River. The reduction from the dam will bring total dissolved gas levels down to a level that is much better for the juvenile fish. But the reductions will be short-lived. Hall said the Corps will start to increase flows leaving the dam at noon Monday by about 2,000 cfs per hour until they hit 25,000 cfs. 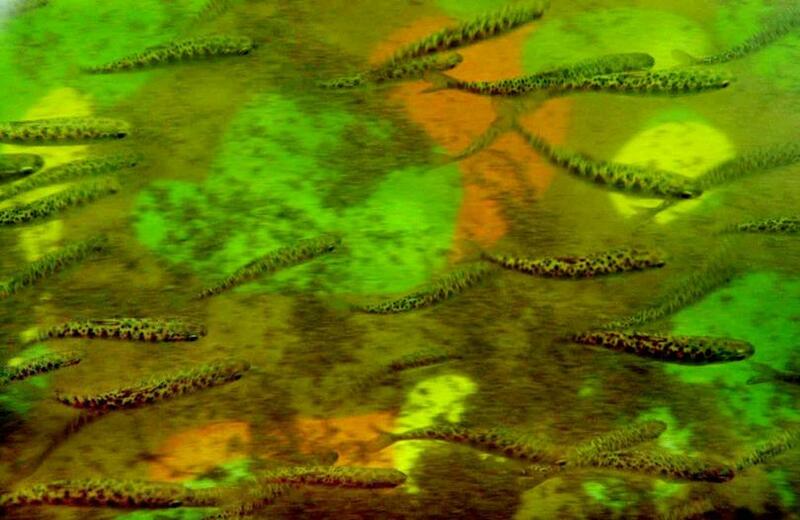 Steve Rodgers, manager of the Dworshak Hatchery Complex, said roughly 1 million juvenile chinook there will be released into the Clearwater River during the lull. "We feel that is the best thing to do," he said. Beau Gunter, manager of Clearwater Hatchery, said he will monitor gas levels and aim to time releases of juvenile chinook when the conditions are best. "When we see (dissolved gas levels) come down where we think we are good to release our fish we are going to do it as fast as we can," he said. Gunter is mostly concerned about dissolved gas levels in the North Fork, where his fish will be released. But Rodgers also is worried about gas levels in the hatchery. Since Clearwater Hatchery draws its water from the reservoir, it is not subject to the high gas concentrations. Dworshak Hatchery draws its water from the North Fork below the dam where gas levels could clime above 125 percent next week. The hatchery installed degassing equipment last year. During the high flows earlier this week, Rodgers said gas levels climbed to nearly 105 percent in the hatchery, compared to 125 percent in the river. The fish in the hatchery were showing signs of gas bubble trauma during the peak flows, but no mortality was recorded. Though the spring chinook will be gone when the flows from the dam climb to 25,000 cfs by late Monday night and gas levels are expected to spike above 105 percent, juvenile steelhead will still be there. Rodgers said the hatchery, which is co-managed by the Nez Perce Tribe and U.S. Fish and Wildlife Service, is working with the Corps and the state-run Clearwater Hatchery to reduce the potential negative effects on juvenile steelhead, which won't be mature enough to release until about mid-April. After Clearwater Hatchery releases its chinook, it will be able to send some of its gas-free water to Dworshak Hatchery. Becky Johnson, fish production manager for the Nez Perce Tribe, said the borrowed water will be enough for about 1 million of the hatchery's 2.5 million juvenile steelhead, but the rest will be facing damaging gas levels. She said hatchery officials are considering releasing the remaining fish early. "We are pretty concerned we are not going to be able to hang on to the steelhead at (gas) levels over 105 percent and have them be healthy, so we are looking at contingency plans on what we can do for early release." When steelhead have been released early in the past, survival rates were cut roughly in half, she said. "It's really tough," she said. "We raised them for so long, they only need three to four more weeks." Hatchery officials plan to meet Monday to make a final decision on the steelhead.